The college provides adequate facilities for sports and games to encourage all-round development of the students. Outdoor sports are also given equal importance for interested students. 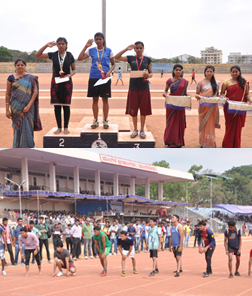 A state level, Inter-Collegiate Basketball tournament hosted by the college is a very popular event.